Russia Against Online Globalisation: A Serious Attempt? From 1st January this year, it is a legal requirement for companies processing the personal data of Russian nationals to have it stored in Russia, according to highly disputed Act N242-ФЗ (or rather, amendments to the existing Personal Data Protection Act). There are rumours that the idea of this difficult-to-execute and confusing legislation emerged after a few Russian banks were disconnected (temporarily) by Visa and Mastercard, blocking operations with payment cards from those banks, following sanctions implemented in March 2014. Some government critics, however, cite the State’s desire to have tighter control over Internet-based content and businesses’ online operations, as the new law may potentially give additional authority to supervising institutions, because it’s easier to control and supervise hosting companies physically located on Russian territory. But whatever the reasons may be, the law became effective, despite a petition against it signed by 88,321 supporters, so let’s have a look at the possible consequences and effects. The definition of personal data used in the Act is any data, relevant to a private person and enabling the identification of that person, e.g. name, date of birth, address, profession, medical data, etc. Therefore, any company, big or small, employing Russia citizens and storing their data in a HR server, is falling under this law, in theory. As indeed is any company processing any kind of personal data for registration on a website, purchasing or communication. So, pretty much any business registered and operating in Russia – unless you only provide information on your website and don’t collect any information at all from users. What is perhaps remarkable is that although there are concerns about the potential for the government to block access to online services provided by companies such as Facebook, Booking.com or even Google, as well as the fact that the government is seeking yet more power to control businesses’ Internet presence, the majority of Russians don’t believe that there will be any significant implications for them due to this new Act. In addition, we need to remember that all of the information in question was and remains protected data. Therefore, despite a very important change of this data having to fall under Russian jurisdiction and responsibility, the everyday life of the nation and its internet users is not affected. An interesting fact is that the legal requirement is “to enable recording, classification, accumulation and amendments of Russian Federation citizens’ personal data in databases, located in Russian Federation territory”, however there is no clearly expressed ban on duplicating the database. So, it is still legal to have a copy of all the data outside of the Russian borders, as long as you are storing the data in Russia in the first place. 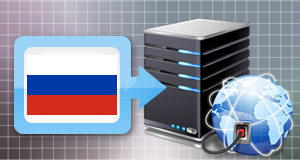 While many are unhappy with this change, it has created a massive opportunity for Russian hosting businesses, with a huge increase in the need for server capacities expected. Hosting in Russia was historically quite expensive, and it was a common practice not only for foreign companies, but also for native Russian establishments to use servers abroad to process and store their data. Russian company RosTeleCom has taken its chance already, offering rental of server space, as did a few other Russian and Western corporations. The Russian data storage market was worth over $140mln in 2013, and is expected to grow by $100mln this year – even if merely Facebook, Twitter, Google, Skype and WhatsApp comply with new data storage regulations. The Russian government has paid a lot of attention in the last year to what’s going on with the Internet. From 1st August 2014, the much talked-of “Act about Bloggers” became valid, requiring bloggers with 3000 or more visitors a day to register with an official supervision organisation; to publish their surname and initials on the website, as well as an email address for legal correspondence – all with the aim of de-anonymising popular blogs. Most well-visited blogs are now classified as Public Media, and the responsibilities journalists are familiar with, such as the responsibility to provide veracious information, now applies to blog owners too. Some are welcoming the trend as they believe the Russian web is getting safer due to recent changes, yet some are longing for the freedom that anonymity provided – but it’s clear that Russian authorities are making a great effort to project their power into the virtual world, twisting it to become much a more Russian space than a global one.